TiVo has announced that it is to stop supporting any Series1 TiVo boxes in the UK, as of June 2011. The news, which will no doubt annoy existing TiVo users, comes after a deal was reached with Virgin Media that sees the US company add its technology to next-gen Virgin Media TiVo boxes. 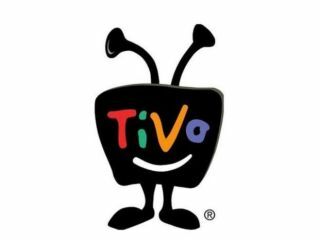 On its support page, TiVo warns that after its support switch-off in June customers' boxes may not work at all, noting: "After over 10 years of operation, the UK Series1 TiVo service will be discontinued as of June 1, 2011. "Since November 2010, monthly Series1 customers have not been billed and will continue to receive free service until June 1, 2011. "Without the program guide data provided by the TiVo service, Series1 boxes will have limited - if any - functionality. "They can still be used to view previously recorded programs and, under certain circumstances, may be used to record programs manually." TechRadar spoke to Home Cinema Choice deputy editor Mark Craven about the news, who explained: "The small but committed TiVo community in the UK will naturally be up in arms over this news – especially those who bought 'lifetime' subscriptions – and some will probably refuse to entertain the idea of switching to Virgin Media's TiVo service despite all the extra functionality it offers. "Part of TiVo's continuing appeal was its almost anti-corporate image – and the fact that the DVRs can be modded by the tech-savvy. "If Virgin thinks it's going to get all these customers to switch over then it will be disappointed." Virgin Media has already begun to roll-out of TiVo boxes to its top-tier customers.